NL RUNNING: Harbour Front Is Back! It came down to the wire but organizers are happy to announce that the traditional "downtown" Harbour Front 10K course has been approved by the City and is a GO! Advance registration is online only, open until midnight next Thursday, and is available HERE. 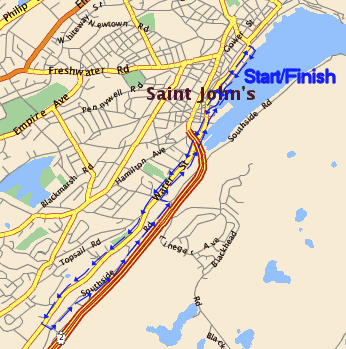 Race starts 8am Sunday May 16 with late registration available race morning at Atlantic Place from 6:30-7:30am. 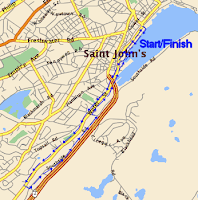 Start line is on Harbour Drive just east of The Keg.